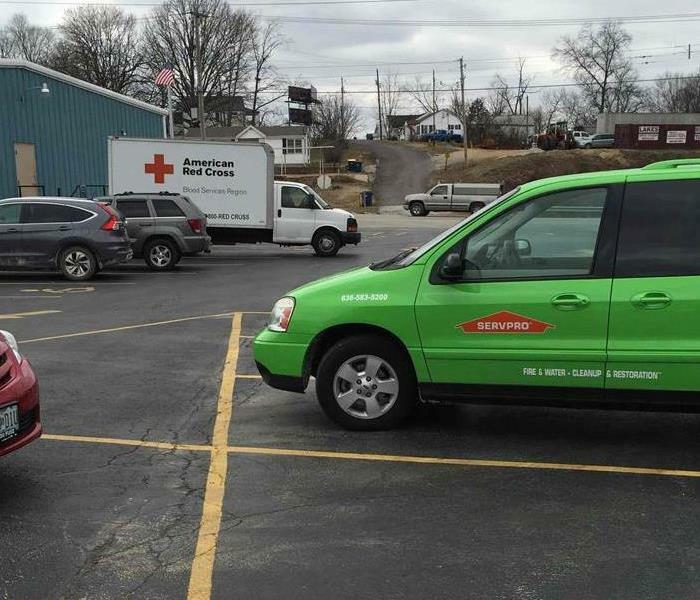 SERVPRO of Franklin County is proud to donate food to our local first responders each month. We thank them for all their hard work and dedication to keeping the community safe. Pictured is SMR Bella and the some of the Union Fire Departments fire fighters. 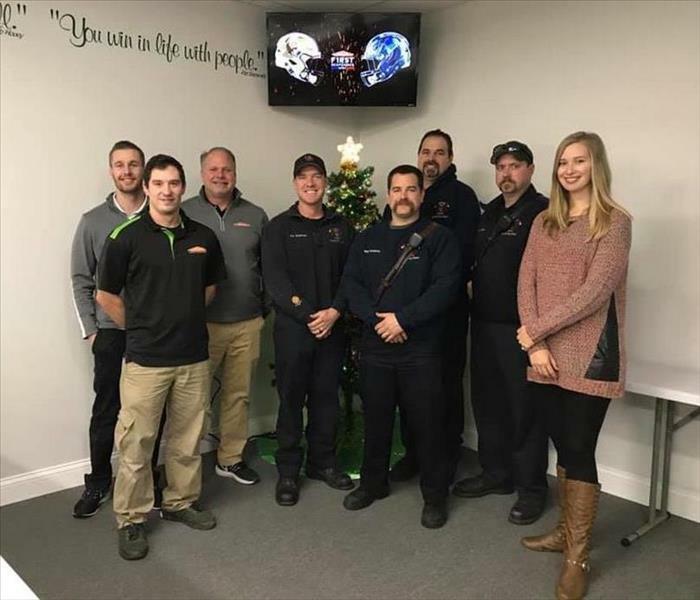 In celebration of the First Responder Bowl, SERVPRO of Franklin County invited local First Responders to visit. 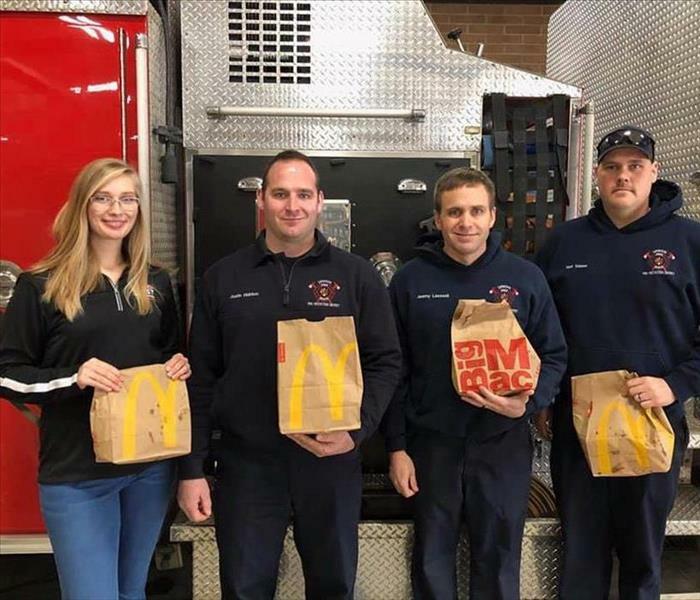 We had free food, drinks and dessert for our responders. It was a small thank you for the men and women who put their life on the line each day. 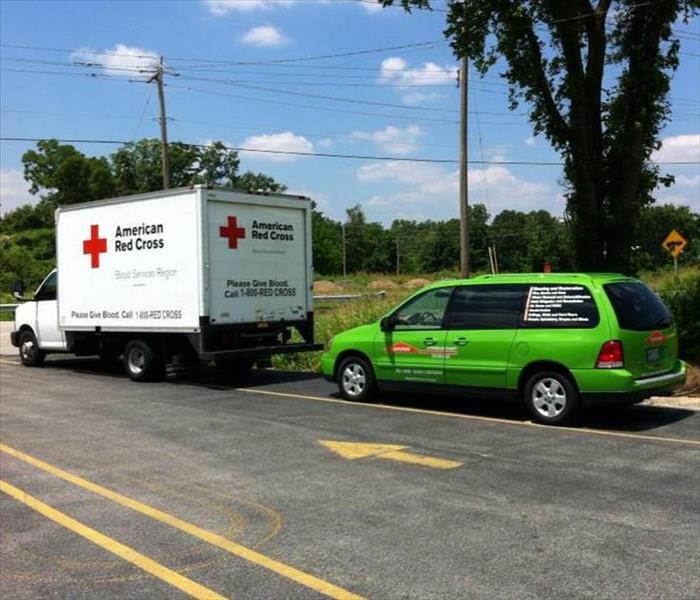 Red Cross Blood Drive. Thank you to everyone who donated! Union fire truck parked outside while several UFPD members tour the building. 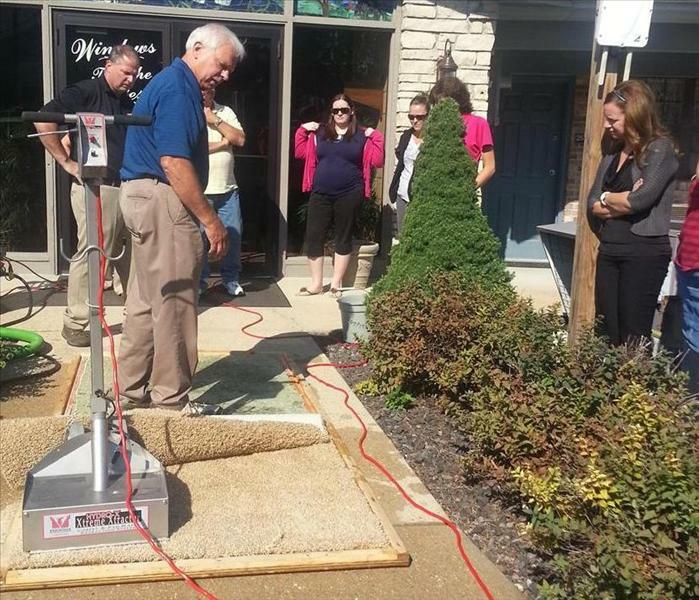 Our dryhouse was flooded with 40 gallons of water to demonstrate real water damage in a home. Even after a small fire, the damage left behind can be overwhelming. We can help. Sweepstakes – Congratulations to the winners! We gave away free carpet cleaning, cardinals tickets, NOAA radios and two spotting kits! Just some of the equipment used to dry a structure after water damage. Water extraction performed during our open house. This is water being extracted from the dry house during our open house. BBQ was served for our guests! Demonstration of water extraction during CE Class. 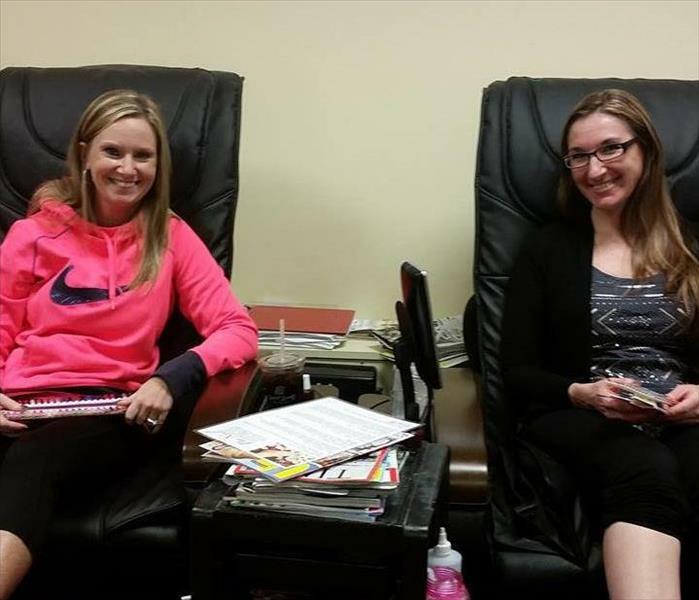 Our Marketing Rep Hannah Krame at Spa Day on 12/17/2014. Thank you to those that attended! 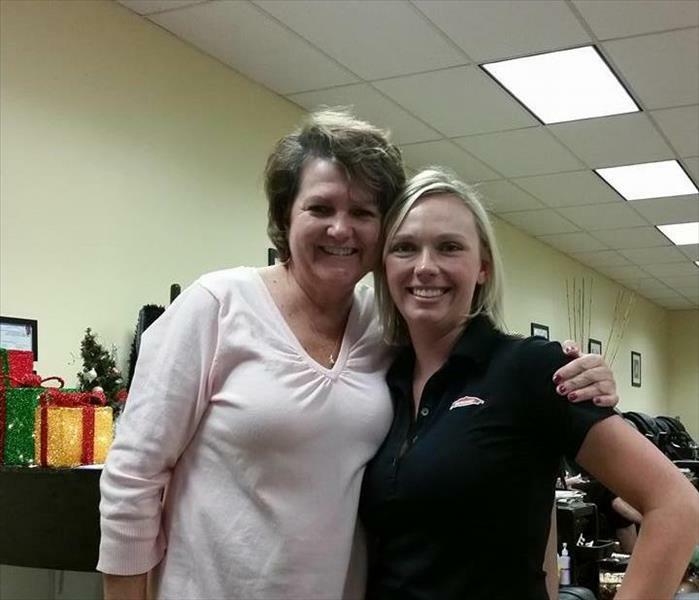 Thank you to all who attended our spa night. We had a great turn out and a wonderful time. Thank you to all who attended our spa night. We had a great turn out and a wonderful time. 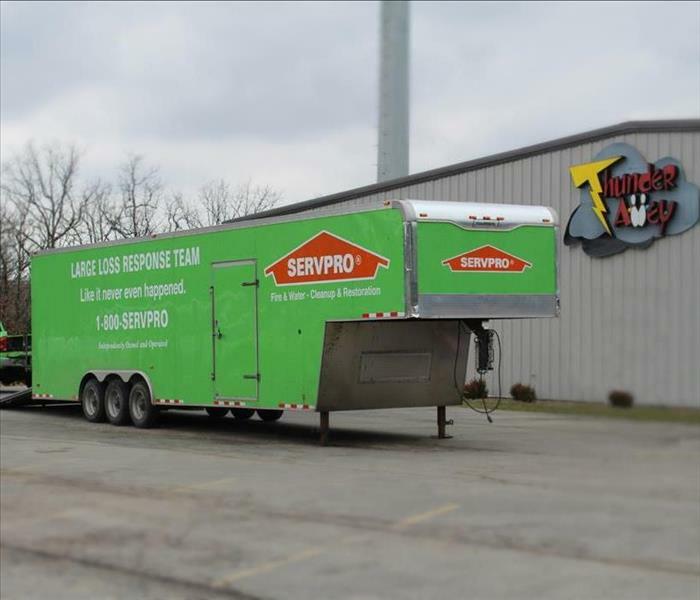 A big congratulations to Bill for thinking out of the box and painting his toenails SERVPRO green! He was rewarded with a gift certificate for 3 rooms of carpet cleaning. 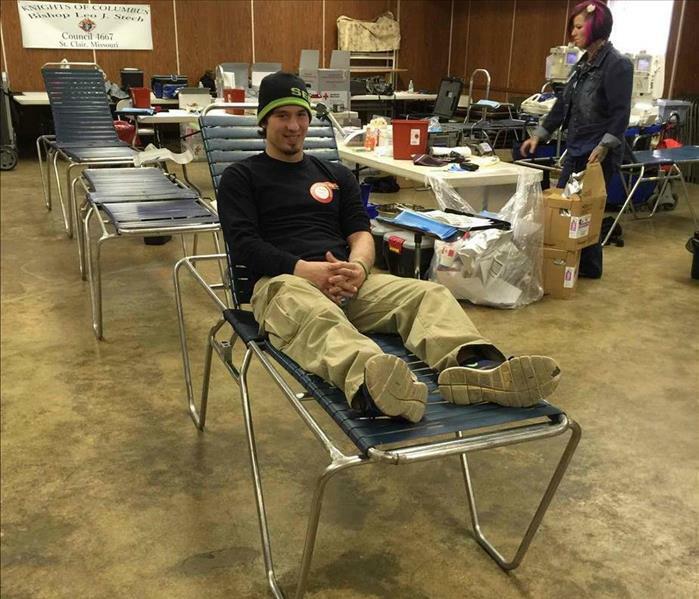 Blood drive held 2/25/16. Thank you to everyone who donated. Jerry Alvey (owner) helping teach Restoring Contaminated Buildings CE class held 3/8/2016. The class was located at Missouri Baptist University. Jerry Alvey shares some tips to help protect your home this winter.